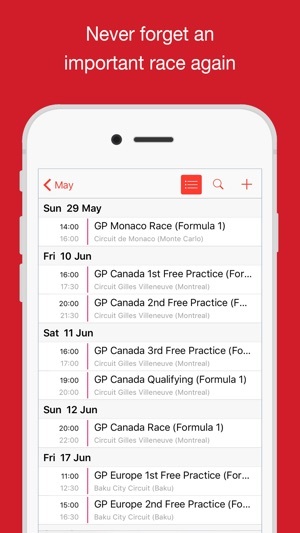 Add all 2019 F1 races to your iPhone Calendar, in your local timezone, so you won't miss a race! 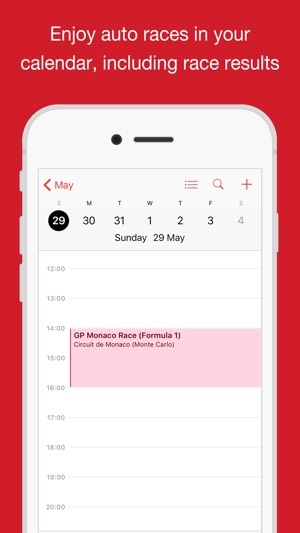 Your calendar is also automatically updated with results and standings, so you're always up to date. 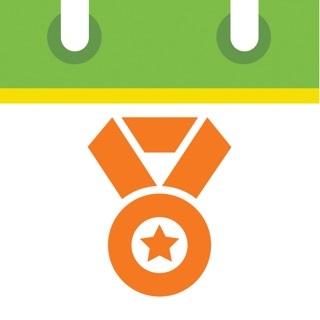 For compliments, complaints and other feedback you can use the feedback form in the app, send an email to support@schedjoules.com or tweet us @SchedJoules. 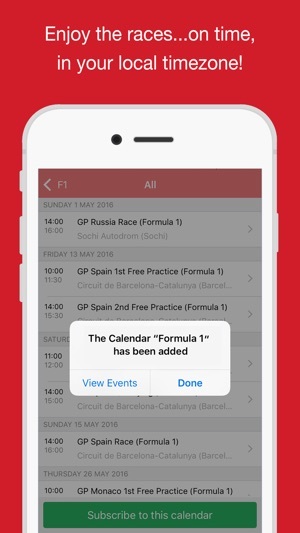 With a yearly subscription you get full and ongoing access to all available calendars including (live) updates in your calendar. 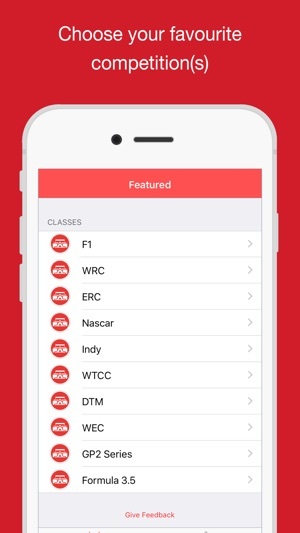 A subscription always starts with a one-month free trial, so you can try before you buy. A subscription costs $1.99 per year. Payment will be charged to your iTunes Account at confirmation of purchase and after the 1 month free trial.The subscription automatically renews unless auto-renew is turned off at least 24-hours before the end of the current period. Your account will be charged for renewal within 24-hours prior to the end of the current 1 year period. You can turn off auto-renew at any time from your iTunes account settings. Cancellation of the current active subscription period is not allowed. 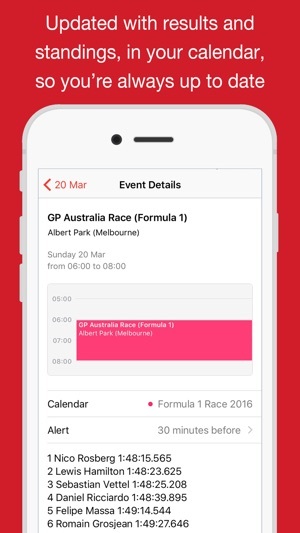 This is a great app if you need to know when the races are.